Designs by Di Blankets is the Featured Shop of the Month here at the Handmade Gift Guide! You will fin beautiful, handmade minky blankets in this Shop! 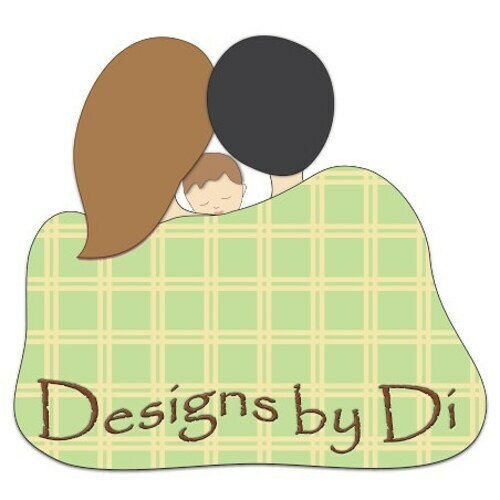 At Designs by Di Blankets you will find Handmade Minky Blankets, Baby Blankets ,Cloth Books and more! I am a one person shop and I make Minky blankets that will provide your family with the highest quality soft and cozy blankets. All Blankets are sewn and top stitched for durability. Baby to adult, everyone needs a soft and cozy moment added to their day. I can customize a blanket to your needs and also make the crib sets to match the blankets. I have sewed a lot in my life and my first job was sewing truck tarps, home window awnings and circus tents. Went from that job on to nursing for many years and now have come full circle. When my daughter was younger she was in competitive dance and a ballet conservatory. I was sewing tutu’s and costumes for almost 13 years. Now both of my children are off to college and I get to go back to my beginnings again. Dorm room to Family room and everything in between, these blankets will add a bit of soft and cozy to your day! 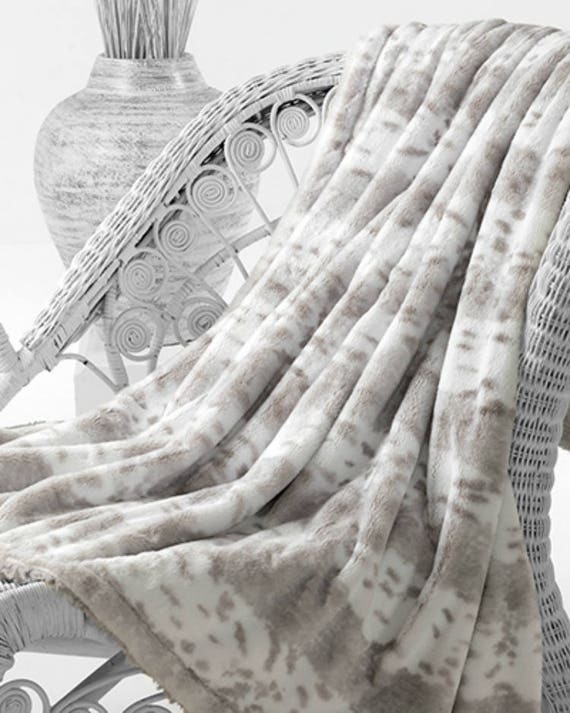 – Snuggle up with Designs by Di Blankets! You will be glad you did! Diane Keller is the Owner/Designer that works behind the scene! She has 2 very sweet nieces and she love to spoil them! One day their mother came to Diane frustrated because every night when the toes came out of their blankets they would wake up and would not go back to sleep. Well of course she had to remedy that situation; so, she made a blanket just the right size to fit each of them. Her friends saw it and then they wanted one and this was the start of blanket sewing days. She has sewed a lot in her life! Diane’s first job was sewing truck tarps, home window awnings and circus tents. She went from that job on to nursing for many years and now has come full circle. When her daughter was younger she was in competitive dance and a ballet conservatory. Diane sewed tutu’s and costumes for almost 13 years. Now both of her children are off to college. Diane has gone back to her beginnings again. Diane has a true passion for handmade! My son has fallen in love with his blanket, much to my relief! Seller was fantastic to work with and communication was superb! Wrap up in style with a minky blanket by Designs by Di’s Blankets! Gifts for Her Contest Results are in. Congratz to Anita Collins of Break it Up Designs our winner! You will find beautiful handmade Mosaic Art in her Shop! Take a minute to visit all the awesome shops that were entered in this contest! You will find everything from A to Z here at the On Fire for Handmade Great Finds weekly contest! Jewelry, Decor, Cards, Fashions and more.. all Handmade by some very talented Artisans. Shops from Artfire, Etsy, Handmade Artists and Zibbet just to name a few! On Fire for Handmade Loves to Promote YOU! Every week new shops are featured for your viewing and shopping pleasure. 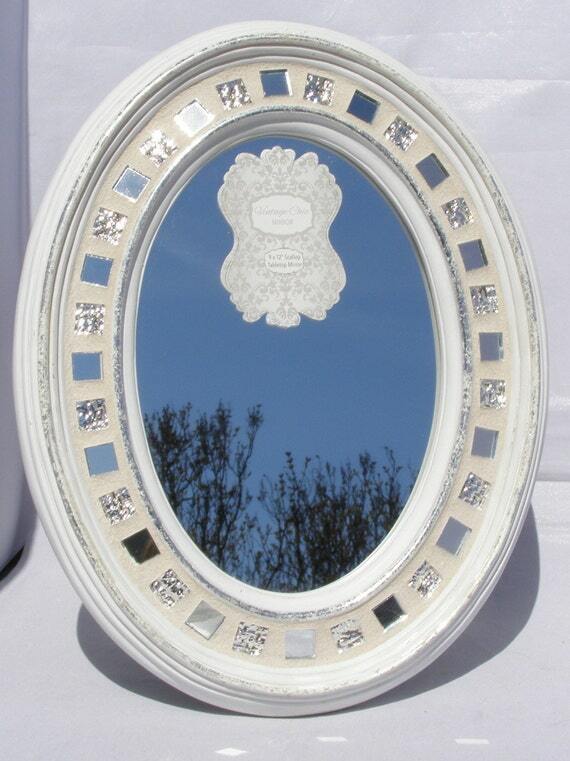 Simply click on the picture of the item you like best to vote. Help support your local artisans this year and Shop Handmade for all your needs! Gifts for Her Contest Winner Break it Up Designs. Our Winner from Gifts for Her Handmade Finds! You will find beautiful handmade Mosaic Art in her Etsy Shop! I love working with mosaics and glass. Anita discovered mosaic art after a beloved flower pot was broken. She wanted to use the broken pottery in some way and created a beautiful mosaic plaque. Breakitupdesigns is the result of that experience! For the past several years, I have been working with a va riety of materials to create original, usable art. Pottery, tumbled glass, shell, stone and stained glass a few of my favorite materials. From these, I have created flower pots, bird houses, bird baths, picture frames, trays, coasters, switch plates, Christmas ornaments, peace signs and more. I am always looking for new materials to incorporate into my pieces. All of my designs are my own and most pieces are One of a Kind. Kits Creations is this months featured shop here at the On Fire for Handmade Gift Guide. You will find beautiful Jewelry and Beach Theme decor in this Etsy Shop! Kathy has changed her shop name to The Beach Gallery by Kit! have been collecting shells, sea glass, drift wood and other Ocean Treasures for most of my adult life! The Outer Banks in North Carolina is where most of my “ocean” finds come from! I hope you will find a “ocean” treasure here in my SHOP. At Kits Creations you will find stunning jewelry with truly unique designs. I have been designing Beaded and Sea Glass Jewelry for over 16 years! I enjoy every minute of making each of my Necklace, Bracelet, Earrings and more “Unique & One of a Kind”! My start into my artistic life started rather late for me. Having worked for a friend in her business called Lad Sterling back in the 1970’s, doing home parties got my creative juices flowing. I had worked in the real estate industry during the 1970’s and 1980’s when my children were young. I loved helping my customers find their “Forever Home”! While working at Aetna for 15 years in their Middletown facility, I started to dig into my artistic capabilities making badge holders, necklaces, bracelets and earrings for my co-workers using sterling silver beads, semi-precious stones, Swarovski crystals, pearls, vintage beads and wood beads from all over the world. After retiring in 2006, I was able to really focus on designing my Unique, “One of a Kind” hand beaded and sea glass jewelry for friends, family and the public. This has become my passion! Beautiful wreath. Exactly what I was looking for. Very carefully packaged. Sender Even reimbursed excess shipping cost when sender noted the actual shipping cost. Crochet by MSA is this months featured shop here at the On Fire for Handmade Gift Guide. This shop is filled with beautiful crocheted doilies and more! Specializing in the Fine Art of Thread Crochet. Doilies, Bags Purses.Jewelry, Home Decor & More Thread Art. I keep a bariety of items in all price ranges. Custom orders always welcome. Small hand crocheted tokens thank you gift (i.e. ornament, magnet or coupon) included with your order. I was sort of forced into early retirement in 1995 I had brain tumor surgery, the tumor was benign, however I was paralyzed on the right side. By the grace of God, much occupational & physical therapy I’ve regained full use of both hands. Crocheting has been great therapy both physical & mental and has help me get through breast cancer treatment. Crocheting with thread (will use yarn upon request) is my passion! I take great pride & joy from each item that I create from a simple ball of thread & a hook. Each item is created with care to detail and of course with lots of love. 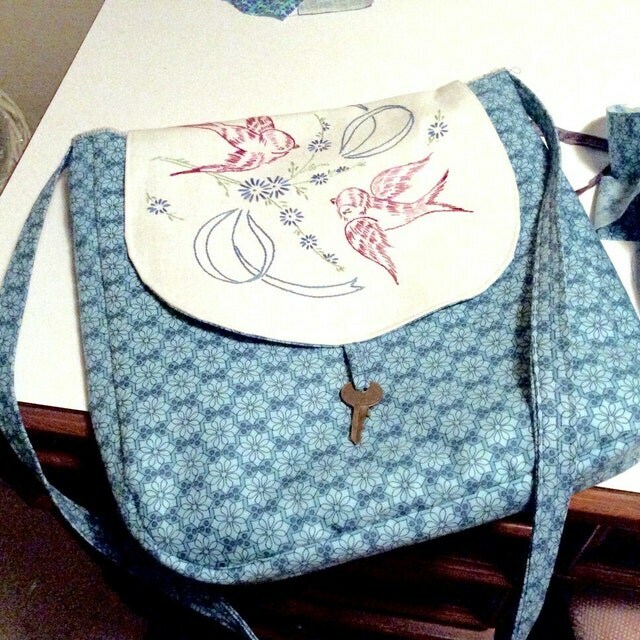 Great joy in giving a gift that is handmade is a part of who I am. I use all new materials in my items unless otherwise stated. All items in my shop are handmade by me and only me!! MaryAnn is truly “On Fire” for Handmade! 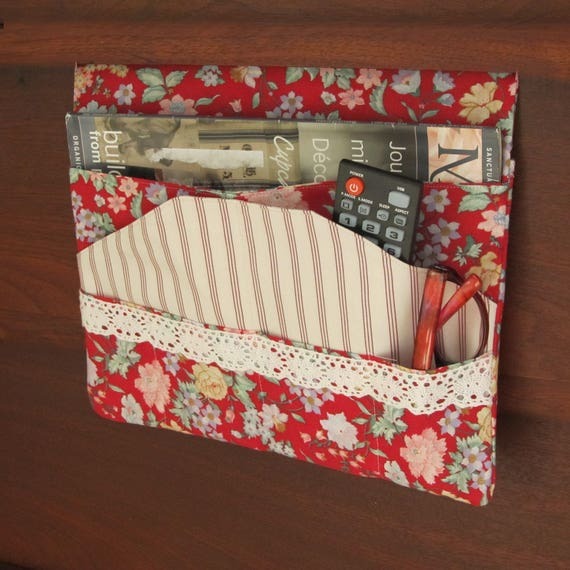 Aunt Maymes Attic is the Featured Shop of the Month here at the On Fire for Handmade Gift Guide. You will find unique, one of a kind, creations that blend the Vintage Past with Modern Aspiration in this shop! Aunt Mayme’s Attic where vintage linens find new life in modern and functional items. My Shop name came as a result of my desire to keep vintage embroidered linens out of the landfills. Many items like this I found during the summers I spent as a child visiting maternal relatives, so many years ago. Aunt Mayme, (“May-me”) my oldest aunt, lived in an old farmhouse with a walk in attic. This home contained several assorted pieces of furniture, glassware, and most especially trunks that held clothing and other personal items, such as photographs.I’ve always been a lover and sewer of vintage linens, ever since my Aunt Mayme let me play in her farmhouse trunk. When I saw them stashed away, I was saddened because they weren’t getting used. My shop is about bringing those linens out of our “trunks” and using them in modern and functional ways. Although my ability to hand embroider is long since gone, it’s my love of vintage linens I want to share with you in Aunt Mayme’s Attic. Vintage linens are upcycled into modern and functional items. I bring the past to the present and allow the beauty of the handwork to shine through. 5 out of 5 stars I absolutely love mine!! So cute and great quality! 5 out of 5 stars This will hold my business cards much classier than the boring one I have now. Very well made and fits in with my “vintage” personality and all the ladies at the antique mall will be jealous! 🙂 Thank you for such a wonderful transaction! !